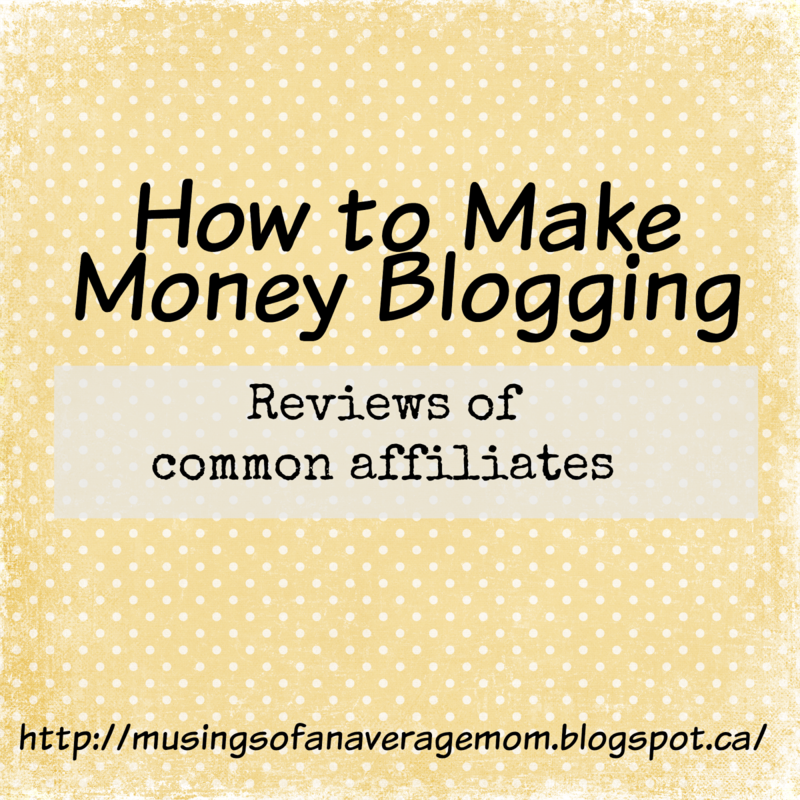 As a new (or even an established) blogger it is difficult to choose which affiliate programs are the most profitable or the best fit for our blog. Now I am not claiming to be an expert in any way but from my own personal experience I will tell you what has worked (and what hasn't) from my blogs. And hopefully it will save you a little time through that tedious trial and error of finding the best advertising mix for you. There are basically four types of blog advertisements : pay per view, pay per click, pay per sale and sponsored posts. Smowtion is very easy to qualify for however their earnings are really low (approximately $0.10 per 1000). One upside they use to have was they had a two tier affiliate program in which anyone who you referred to join their company temporarily earned a higher amount and you received a portion of their profits however, I'm not sure they even offer this benefit any longer? Personally, I no longer use Smowtion the earnings were quite low in comparison to other companies I have tried, and their minimum payment was really high at $100. The most common pay per view is Google AdSense and unfortunately I was denied the first couple times I applied as I featured round-ups from other blogs. So I cannot personally tell you how much they pay but I do know you need to wait a minimum 90 days after establishing a blog before applying. Since I didn't qualify for AdSense I looked for the best alternative and personally I like PulsePoint.com You get to set the price you want for advertisers to pay and a minimum rate you want. So for instance you can set $1 for a side banner advertisement then you can set a minimum rate (say $0.60) you want before you use a back-up ad. They are a little more difficult to implement only because you have to decide on your own rates and they do not have a 100% fill rate so you need to have a back-up ad [of the same size!] when no advertisers meet your minimum. I was using Smowtion as a back-up advertiser and recently switched to Share A Sale. Although I am not currently using Media.Net I wouldn't discount them, I have heard other bloggers have had success with them and they are by far the best at personally working with you - recommending which size ads and where to place them. I took them off because I was receiving less than PulsePoint and was having difficulty in placing ads where they had recommended and didn't receive help quickly by e-mail but later received a few emails asking to work with me again. I'm sure you have encountered Infolinks often - the advertisements which underline key words within your blog posts. Infolinks provide links related to customer searches. They are fairly easy to qualify for, and review your application in 48 days. The payment threshold is $50 and they pay by pay pal. Although the threshold is a little high I have been paid by them a few times already. This is great for blogs with high views, if you only receive a few hundred views monthly your payout may be .10 cents but will increase with views and it's nice to earn anything while you work to establish your blog. I also like that it's not another advertisement clogging up your sidebar. Early in my blogging days I tried Chitika and was not at all impressed with them, you only seemed to earn one or two cents when somebody clicked on an advertisement, and all their advertisement were text based so weren't very visually appealing. I really liked the appearance of the Pick Your Plum advertisements but after a couple months without any sales (I did have several clicks though) I removed them from my site. They might be worth a try if your viewers are closely aligned with their products which offer a new deal daily. I found ClickBank offered a lot of digital products, downloads etc. and sometime I found it difficult to find companies with banner advertisements. I personally didn't like ClickBank as their ads weren't always professional looking and I didn't have any sales with them. Share a Sale is now one of my favourite companies, I haven't been using them very long but they have a lot of companies they work with, their ads are really attractive looking, and their commissions are quite reasonable. I am still hovering under the minimum payout but have seen a spike around holidays and incorporating products into blog posts. The only complaint I have with Share A Sale is that when I am searching for a specific product I cannot always seem to find a merchant who is selling it. Although I have yet to have a sale with Amazon I still use them as they have by far the largest product selection and I can find nearly any specific product I am looking for. I also just realized I was able to offer Amazon.com products even though I am Canadian and am hoping to see a few more sales as most of my readers are from the U.S.
Amazon starts with a 4% commission rate and eventually increases the rate to 6% after a certain amount of sales. I unfortunately haven't written any sponsored blog posts yet but do hope to get into writing a few in the future and have recently joined Moms Affiliate. A fairly new program just for mommy bloggers, you can choose one of their campaigns, advertise their products and set your own rate for your sponsored posts. They also pay for referral (so I would be super happy if you use my link to join) and also offer giveaways you can host on your blog for free - some of which even pay you for how many people enter. I have also joined Sverve - they are like a social networking and affiliate program in one. Personally I like the twitter campaigns Sverve offers where you are paid 10 to 12 cents just for posting a tweet. They also offer campaigns that pay up to $350. You can join Sverve here for free - and if you are looking to learn more about Sverve - you can read my article How to Make Money Blogging with Sverve and join my Sverve link party that is permanently open to gain more followers and endorsements. So for me personally my favourite affiliate mix is Infolinks, Share A Sale, Amazon and Pulse Point. My second favourites would be Pick Your Plum and MediaNet. Please leave me a comment and let me know your experiences with these affiliates and what your favourites are. After my daughter's second Mickey Mouse Clubhouse birthday party, and a month of going to her friends parties she decided she wanted to play Birthday Party - every day. She loved the balloons, the loot bags, the kids, and of course the cake. So since it was pretty much an every day occurrence I decided to try to have a few different ideas for our pretend play. I kept all the leftover party supplies from her birthdays and bought some Minnie balloons and party blowers at the dollar store. We'd blow up a couple balloons every few days because for some reason toddlers seem to love balloons. I printed out some adorable (and free!) paper cupcakes from Volume Twenty Five and cut them all out. A year later we are still putting together our cupcakes and blowing out the candles. We also fold some blank computer paper to draw birthday cards. Or you can print out some free printables from The Little LadyBird and just colour them. 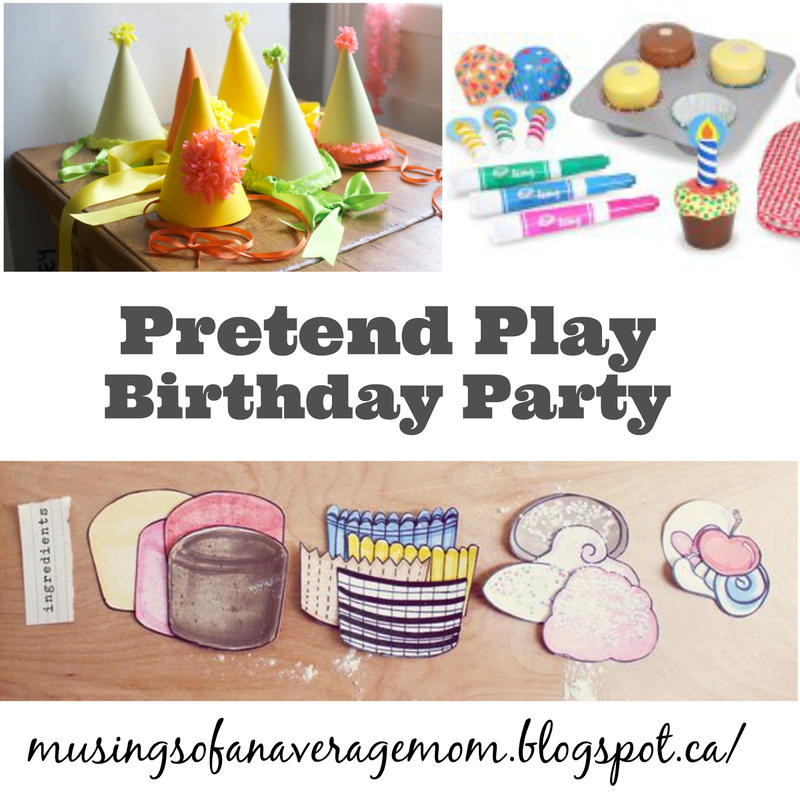 And what is a party, with out party hats ? We had a couple left over which eventually seen a lot of wear, so then I found a template for a party hat on Oh Happy Day and cut them out. 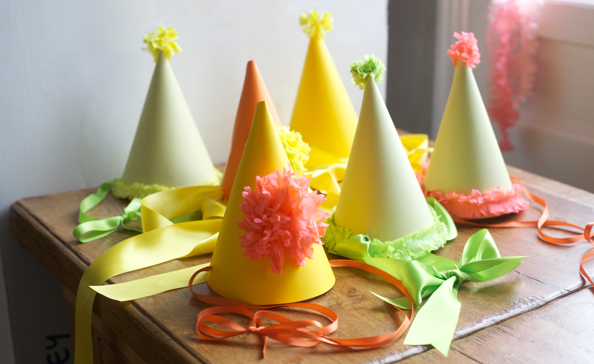 We coloured them and added stickers for our own custom birthday hats, and made a few out of some pretty and sparkly cardstock [scrapbook paper I found at the Dollar Store] and added embellishments like homemade tissue paper pom poms. I made a cake out of empty boxes, wrapped it in solid white wrapping paper and let her colour away but it didn't hold up very long. I would probably recommend stuffing the box with foam or something to make it a little more rigid, and decorating it with coloured paper and ribbons. Or you can just buy this cute wooden one from Melissa & Doug which you can decorate yourself with candles and treats. 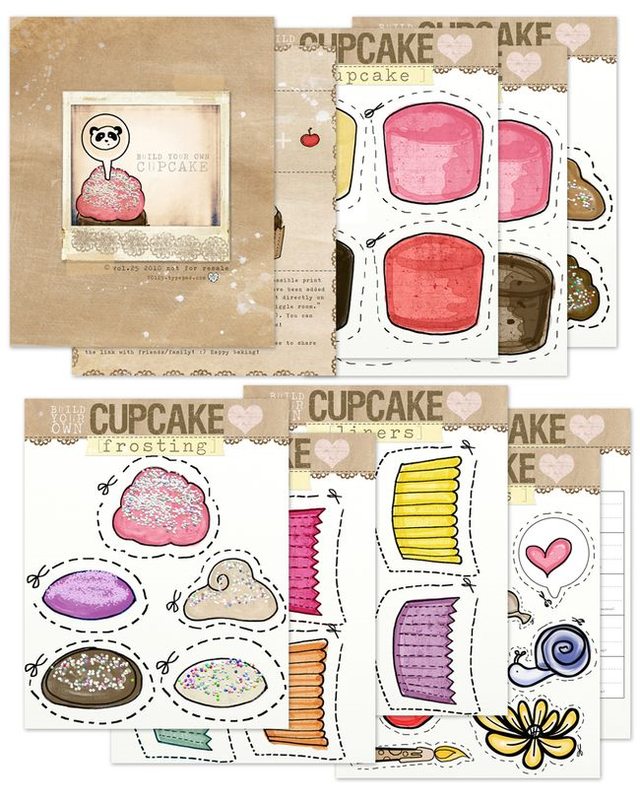 Or if you prefer to make and decorate cupcakes you can get his Melissa & Doug Bake and Decorate Cupcake Set instead for only $15.99. Did I mention I love Melissa and Doug? I think it's because their products are good quality and foster imaginative play. And on those days when we felt like something extra special we baked and decorated cupcakes because you can get a pre-made cake mix and container of icing for only $1 each and well kids love cupcakes and sprinkles... And I have a huge weakness for cupcakes.